AP Photo/Manuel Balce Ceneta From left, former New York City Mayor Michael Bloomberg, Rev. Al Sharpton, former Vice President Joe Biden and Martin Luther King Jr III, are gathered during a commemoration of Martin Luther King Day in Washington, Monday. Photo provided Jersey Shore High School students at a Lycoming College chemistry laboratory. SARAH SMELTZ/THE EXPRESS Robert “Pete” Smeltz spoke to the Keystone Central School District board at last week’s voting meeting. Smeltz the about the role of the Career and Technical Education programs. 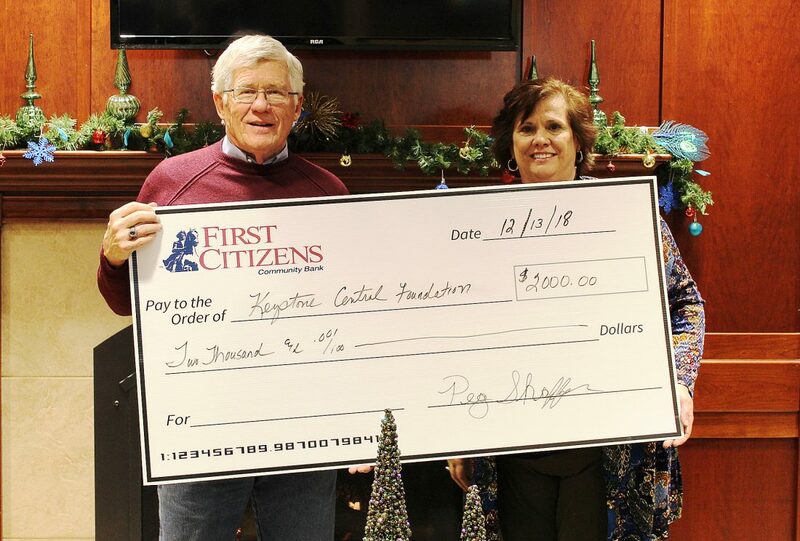 PHOTO PROVIDED First Citizens Community Bank Manager, Peg Shaffer presents Keystone Central Foundation Vice President Wayne Allison with a $2,000 contribution check through the Educational Improvement Tax Credit program. PHOTO PROVIDED Regional Manager, Mike Shuey from First National Bank presents Keystone Central Foundation Director Angela Harding with a check for $5,600 as part of their Educational Improvement Tax Credit contribution for 2018. LOCK HAVEN — The Keystone Central Foundation was accepted into the Pennsylvania Department of Community and Economic Development “Educational Improvement Tax Credit” program in early 2018. The designation from the state has given businesses and companies located in Clinton County the opportunity to contribute to education and earn tax credits for doing so. By the end of 2018, the Foundation collected over $24,000 in EITC contributions. Corporations and businesses must first qualify to be considered as a contributor to the program. There is an on-line application process through the pa.gov website. Once approved, donors can receive up to 75% tax credit on their contribution. If the same donor commits to the same donation or more over a two year period, the tax credit will increase to 90%. The program is designed to give educational, non-profit organizations the opportunity to help bolster educational opportunities. The program funds must be approved by the DCED and the Foundation must provide the state with documentation and report on all funding. The Keystone Central Foundation is a 501C3 organization created to support education within Keystone Central School District. The 2018 contributions will allow the Foundation to financially support many programs in KCSD. A few examples include: An aquaponics lab in the greenhouse at Central Mountain High School, Artist in Residency programs at several elementary schools, and it will broaden the curriculum for students in Advanced Placement classes throughout the district. “We are excited to use these funds to advance the educational opportunities for our students” said Deana Hill, Foundation Board President. 2018 EITC donors include Woodlands Bank, First National Bank, UGI Utilities, M & T Bank, First Citizen’s Community Bank, University of Pennsylvania Medical Center (UPMC), and Weis Market, Inc. 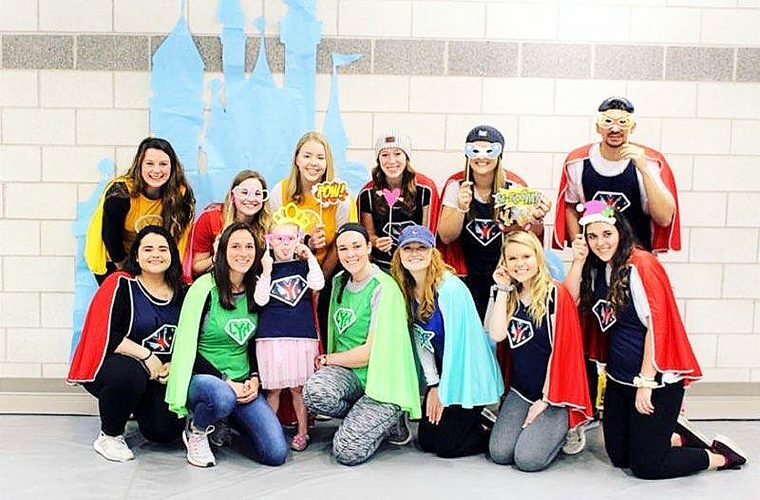 In addition to being an EITC approved organization, the Foundation also manages bequests and contributions for the purpose of student awards, scholarships, teacher mini-grants, and providing several other programs. If you would like to learn more about becoming an EITC contributor, start an award or scholarship, support Career and Technical Education, and find out how your tax deductible donation can help the students of Keystone Central School District, please contact Angela Harding, Foundation director at 570-893-4900 ext. 2314.